Computer image generator for a simulator of manual docking of a space ship to ISS. 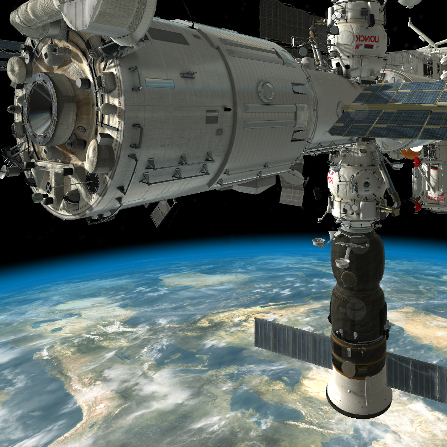 The visualization system uses a detailed 3D model of the ISS. The 3D model is modified to reflect the modifications of the ISS itself. The simulator can be configured for an arbitrary list of modules, docked according to the rules. 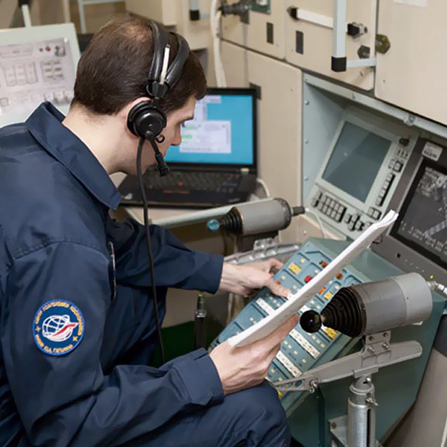 Thus any ISS configuration required by the training plan can be assembled. YU. A. Gagarin research & test cosmonaut training center.